Amazing location by the beach. The resort feels magical as soon as you set foot in it. Staff was so welcoming, friendly, and helpful. Beach front resort Beautiful resort wonderful staff. Our Villa had a beautiful view of the ocean Marriott would always be our first pick. 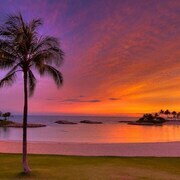 Oh if love a beautiful sunset then we definitely recommend Marriott resort and villas!! Paradise for children I like this hotel Comfort. Fun. Kind hotel But I want Korean staff. Except.this I satisfied this hotel. The staff at the front desk was extremely helpful. I spoke to them everyday before my family and I explored the island and they always made sure I felt comfortable and was knowledgeable about where I was going . 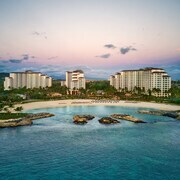 Whether you're after a cheap and chic hotel, a budget plane ticket or inexpensive ways to amuse yourself in Kapolei, we can help! It's time to learn a thing or two about this unique vacation destination. This city is approximately 15 miles west of Hawaii's capital, Honolulu. Kapolei is also 5 miles southwest of Waipahu. Study the interesting flora specimens at Keehi Lagoon Park, Pokai Bay Beach Park, the Wahiawa Botanical Garden and Neal S. Blaisdell Park. These leafy places are an excellent choice for green thumbs or anyone else partial to plants. Take note, at CheapTickets cheap definitely doesn't need to mean nasty. Even though we're intensely cost conscious, we guarantee that we will not make sacrifices on quality or comfort. Combine your travel and hotel bookings to save up to $481. With 500 airline partners and more than 500,000 properties globally, you know we're getting you the most amazing deals possible. You'll always score the best deal — it's our promise to you. At CheapTickets, we'll refund the difference if you find your vacation deal at a lower price within 48 hours of booking. That's what we call our Price Guarantee. Not only do we have cheap deals, we've got amazing rewards as well. With our simple program you can save heaps of moolah on any eligible CheapTickets hotel. All you've got to do now is book your flights! Taking advantage of our CheapCash program couldn't get any easier. Sign up (for free!) or log in, and you'll be able to save on eligible bookings, as well as getting the inside intel on other fantastically-thrifty bonus offers and penny-pinching perks! We get the picture — you've already handed over enough of your hard-earned moolah on your vacation, so you have no interest in coughing up for taxis. Luckily for you, Kapolei has a number of car rental outlets which should lighten the load on your wallet. If you're going to be landing at Daniel K. Inouye International Airport, you can pretty much pick up a vehicle on the tarmac. Budget and Avis are two options worth checking out. If you're planning on staying around the city, head to Alamo Rent A Car at 92-1185 Aliinui Dr. 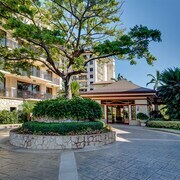 It is situated just 3 miles from the town center. Due to the limited number of accommodation options available, it's a good idea to book quickly to score the hottest deal. 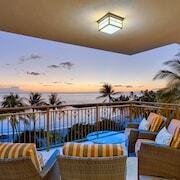 CheapTickets has just 5 hotels in Kapolei. There are a few great accommodation options here on the island. 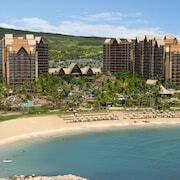 Check out the amenities at the Aulani, Disney Vacation Club Villas and Beach Villas at Ko Olina by Ola Properties.